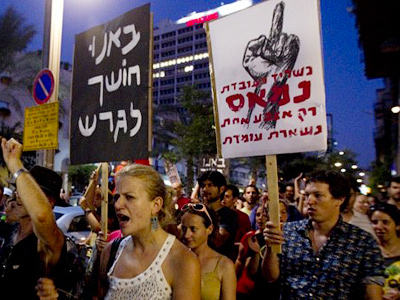 Over 6,000 Israelis took part in a rally against police brutality in central Tel Aviv. The demonstration turned violent, with reports of clashes between police and protesters. Some 85 people were arrested throughout the night. 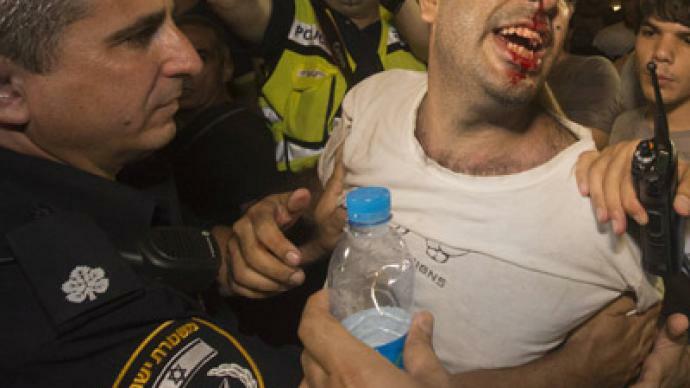 ­Israeli media report that violent clashes between police and demonstrators broke out as protesters tried to push past police lines and march from Habima Square to Rabin Square. Windows were also smashed, and one group of people reportedly barricaded themselves in a bank. Protesters also blocked traffic on a major Tel Aviv highway. Saturday’s mass demonstration took place a day after police arrested 12 opposition activists at another rally, during which protesters tried to reestablish a tent camp on the capital's posh Rothschild Boulevard, the scene of a mass encampment for social justice activists just a year ago. Leef later appeared on television with a heavily bandaged arm and said her altercation with the police left her with a fractured rib. 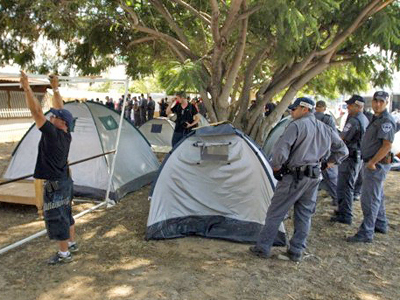 The opposition reacted to Friday’s arrests by saying the government was employing repressive measures to prevent a rerun of last year’s long-running social justice protests, during which dozens of tent camps sprung up in Tel Aviv and other major cities. Labor Party leader Shelly Yechimovich also did not mince her words. “Despite the fact that Public Security Minister [Yitzhak] Aharonovitch told me clearly in the Knesset that there was no order from on high to take harsh steps against the movement's protesters, it turns out that the government and its operational branches have decided not to enable the existence of democratic protests this summer,” she noted. Amnesty International has accused Israeli police of using “serious violence” which went beyond a “reasonable use of force” to repress freedoms of speech and assembly following the unrest in Tel Aviv over the weekend. The human rights group sent a letter to Yitzhak Ahoronovitch demanding that he formulate instructions to police to ensure that the basic human rights of protesters are safeguarded. 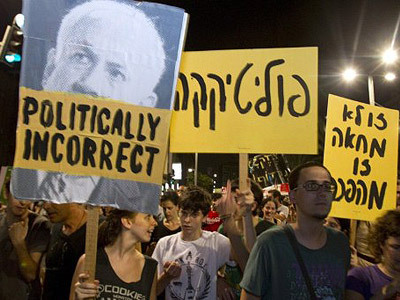 Last summer, Dafni Leef, along with other activists, began a series of sit-in demonstrations that involved hundreds of thousands of demonstrators establishing tent camp cities throughout the country to protest social injustice, and in particular rising housing prices and the dilapidation of public services. They also called for an overhaul of the taxation system and the reestablishment of a welfare state. 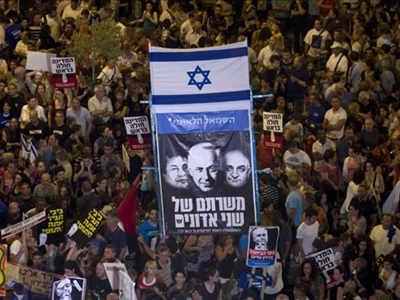 Benjamin Netanyahu’s government promised that his government would go along with some of the demonstrators' demands. 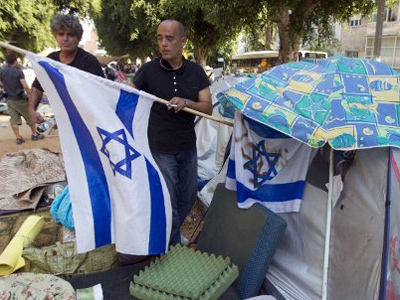 However, protests continued, and authorities moved in to dismantle the tent cities in Tel Aviv in October. Journalist Mya Guarnieri believes that the protesters had a reason to be angry.